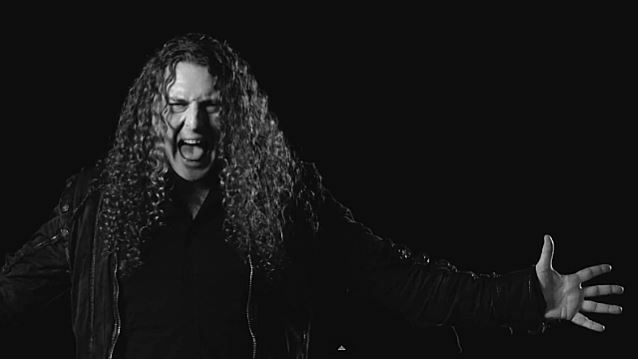 "Storm Of Emotions", the new video from Brazilian/Italian metallers ANGRA, can be seen below. The song is taken from the band's new album, "Secret Garden", which will be released on January 16, 2015 via earMUSIC. The CD was pre-produced by Roy Z (JUDAS PRIEST, BRUCE DICKINSON, HALFORD) and recorded and produced in Sweden by Jens Bogren (KREATOR, ARCH ENEMY, OPETH, DRAGONFORCE). "Secret Garden" "brings together everything that has established ANGRA as one of biggest bands in its style: contemporary sound combined with inspired compositions," according to a press release. It shows the maturity of a band that, after 23 years on the road, continues with the same motivation and passion for music that drove the glorious beginning of the group. The compositions mend together elements that made the band known around the world, foregrounding the unity of seemingly distinct styles and combining in a unique way styles such as rock - in its various forms, classical music and Brazilian music. "Secret Garden" is yet another masterpiece by the group and promises to become a great classic in the metal world. 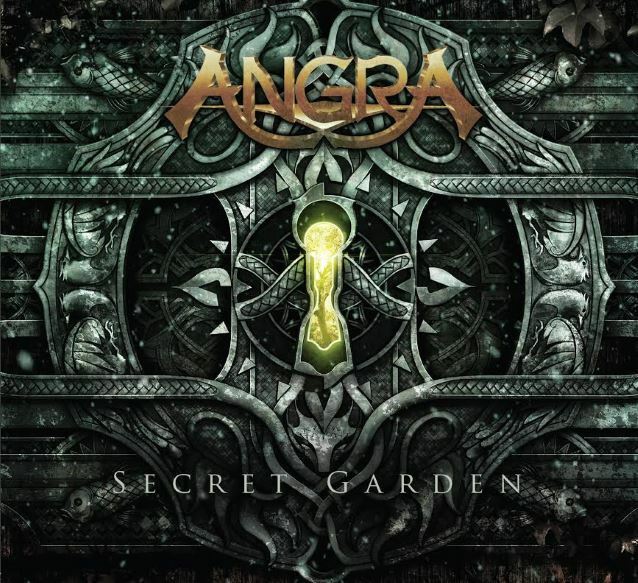 Like almost all of ANGRA's work, "Secret Garden" is a concept album which brings up the question: can something that does not exist to the eyes, or is not perceived by the senses, be considered as non-existent? The songs tell the fictional story of scientist Morten Vrolik who fights to restore his happiness after a tragic accident that took the life of his wife. Faced with the harsh new reality, Morten is forced to revise his atheistic beliefs and values in order to recover a sense of personal contentment that was taken away by fate. The sudden change in his routine, the adaptability, synchronicity, loneliness, guilt, hope and the strength to rise anew are some of the topics discussed in the lyrics, always put to light under different perspectives — be they religious, scientific, philosophical or merely aesthetic. ANGRA, the most representative band of the Brazilian power metal scene worldwide, is back with full power. Italian vocalist Fabio Lione embeds the music with his powerful voice and impressive performance whereas young prodigy Bruno Valverde impresses on drums, giving the group a more modern sound. One of the great strengths of the album is the variety of great guest musicians: Simone Simons from the Dutch band EPICA divinely interprets the song "Secret Garden" while the great metal diva Doro Pesch sings an exciting vocal duet with Rafael Bittencourt on "Crushing Room". Actually, the various appearances of Rafael's lead vocals make for some of the strongest moments on this album, causing a contrast in tone and interpretation in comparison to Fabio. This also becomes evident in the cover that the band chose to record, "Synchronicity II" by THE POLICE. The front cover and album design cleverly interlace the music and story into a beautiful artwork — created by designer Rodrigo Bastos Didier, representing the dreamlike moments of the album's story. The entrance to the secret garden, a representation of the unconscious and the whole atmosphere of mystery intend to bring to the fan an experience that transcends merely listening to the songs. Once again, ANGRA brings to the scene a bombastic, electrifying release, capable of generating new trends, justifying with greatness and elegance why they have been recognized as one of the leading global power and progressive metal bands for over two decades.